Although there were no big surprises, considering it is an election year and one might have thought Treasurer Wayne Swan would throw in a few sweeteners to keep voters happy, very few sectors in the property life cycle will gain this year. 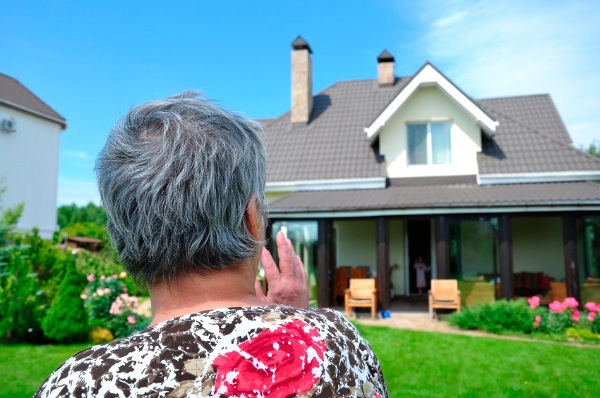 One winner, however, was older Australians who are looking to downsize their homes. Under a new three year trial from July 2014, pensioners who have lived in their own home for at least 25 years will be able to put 80% of the excess sale proceeds (up to $200,000) into a special account. This money, plus interest, will be exempt from the age pension means test for up to 10 years or until a withdrawal is made from the account. Families Minister Jenny Macklin says currently many older people are staying in their family homes because they are afraid moving would see their pension cut. According to Ms Macklin some of these homes aren’t suitable due to difficult stairs and large gardens. ”We have certainly heard from pensioners that they want the opportunity to downsize. Obviously it’s up to them, but we want to give people the opportunity to go into a smaller home if that’s what they would like to do,” says Ms Macklin. She says that this is a way for them to have a home that is more manageable. The Government is investing $112.4 million in the trial program, which it expects to help determine the extent to which the pension means test is a factor in pensioners downsizing their homes, and whether mean test exemptions help reduce pressure on the housing market. Around 30,000 pensioners could benefit from the exemption throughout the trial period. If older Australians decide to downsize this could potentially help the current tight housing market, with its lack of stock and slow turnover. One downside, however, for these pensioners is that stamp duty has been ignored in this equation. The Real Estate Institute of Australia (REIA) says at the other end of the spectrum, young Australians have been overlooked when it comes to housing affordability, especially first home buyers. REIA president Peter Bushby says the number of first home buyers has plummeted since the First Home Buyer Boost was abolished. Another sector largely unaffected in this year’s budget is the residential building industry, says the Housing Industry Association (HIA). HIA’s chief economist Dr Harley Dale says housing Australians should be a priority. “It is disappointing that there are no measures to address the excessive regulatory and taxation environment faced by Australia’s residential building industry,” he says. However, this is somewhat countered in the budget papers, which state: “After a decade of lacklustre growth in housing construction, conditions are favourable for a sustained recovery. The budget forecasts investment in dwellings to recover from a low of -3.6% in 2011/12 to increase to 5.5% in 2014/15 due to the low cash rate and interest rates. Another win in the eyes of some Australian’s this year is the change for foreigners selling expensive properties – worth more than $2.5 million – with the federal government now requiring a 10% withholding tax on the sale of their properties. Stamp duty was unchanged by the budget announcement, despite calls from many to reform the tax nationwide. $127 million, including $112.4 million to support downsizing of homes, $9.9 million for broadband and $4.6 million for a new ageing policy institute. Funding support for the National Rental Affordability Scheme (NRAS), which supports investment in affordable rental housing, favouring projects supporting independent living for elderly and disabled Australians. Superannuation reforms were announced including the gradual increase of employer contributions from 9 to 12%. The change to superannuation requirements may see an increasing number of Australians utilising their nest egg to invest in property.